Following a successful run in February, Carnmore/Claregalway group, Compántas Lir returns with their production of Shelagh Stephenson’s The Memory of Water. This will be performed in Taibhdhearc na Gaillimhe from 25th-27th of March. Since their last appearance in Galway city they have been treading the boards in various drama festivals across the country. It was a competitive run which saw Dermot Hession pick up an award for Best Director in Rush, Co. Dublin. Best Actress awards were won by Ruth O’ Driscoll in Rush and Claremorris. Actors James Harris, Stella Fleming and Mike Mc Namara were nominated for their outstanding performances. The Memory of Water focuses on three sisters who gather in their family home on the eve of their mother’s funeral. Brought together for such a sad occasion, the sisters nonetheless quickly begin to argue over recollections of times gone by. Over the course of two days, as bottles of whiskey are emptied, past conflicts, jealousies and family secrets are revealed and we learn how the incidents recalled have shaped who the sisters are today. Stephenson’s story is a whirlwind of emotions-hilarious one moment and heart-wrenching the next. The sisters are forced to confront the choices they have made in their lives as they try to come to terms with their mother’s death and to mend their fragile relationships with each other and the men in their lives. The cast include many faces familiar to the Drama scene in Galway. Stella Fleming as Teresa, Fionnuala Glynn as Mary, Ruth O’ Driscoll as Catherine, Breda Hannon as Vi, Mike Mc Namara as Mike and James Harris as Frank. Formed in 1983, Compántas Lir has grown from strength to strength thanks to a strong pool of actors and a skilled, dedicated crew. As 2014 came to a close, the group celebrated their All-Ireland victory, having won the One-Act Finals in Ballyshannon with Nine by Jane Shepherd. 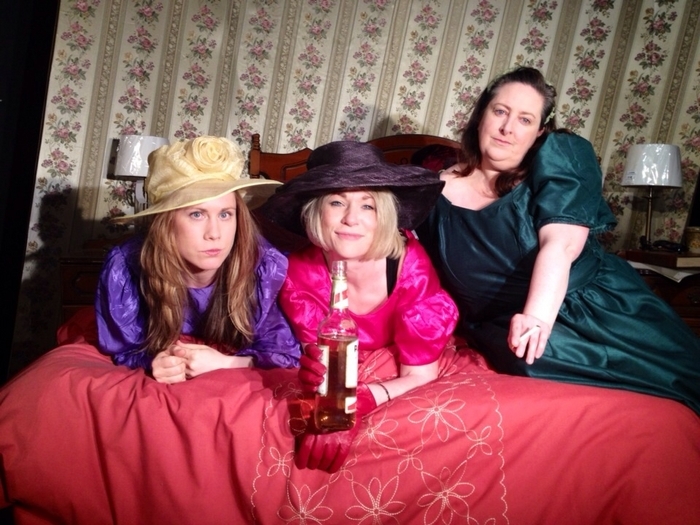 This play will feature in the Galway Theatre Festival this May. The Memory of Water is directed by well known Galway actor/director, Dermot Hession. Dermot comes from a family with a long standing tradition of involvement in amateur drama. He is no stranger to the director’s chair, having previously had success on the one-act circuit with The Donoghue Sisters and Cecily. He has also directed, on numerous occasions, for the Autumn Theatre which takes place every October in Carnmore.